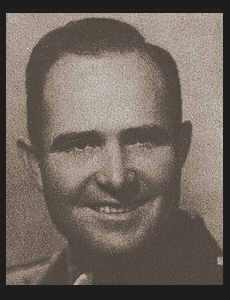 1st Lt. Eugene H. Landes, son of O. S. Landes graduated from Devol High School and Central State College; husband of the former Cleta Merle Woods. Entered Army in 1942, trained in Ft. Sill, Okla; served in Africa and Italy. Awarded ETO Ribbon with four Battle Stars, Bronze Star, Good Conduct Medal.